I came across an old life of the Jansenist Bishop Soanen of Senez, dated 1902, which piqued my curiosity, since it was subtitled "his retraction, his death, his skull". The story of the skull appears on pg. 60, and is taken from a Lyon newspaper article of February 1890. We learn that a skull, said to be that of Soanen, had been inherited by a young man who subsequently sold it for next to nothing to an antiques dealer in the Quartier des Terreaux. He in turn sold it for 1,000 francs to a "Jansenist lady", who apparently already owned the bishop's jawbone. Sieur B. the agent who had secured the transaction, touting around the skull in a silk lined casket, now demanded 500 francs in commission and threatened legal action. As the writer notes, the incident proved that Jansenist piety and veneration for the appellant cause was live and well among the anticoncordataires of 19th-century Lyon, who were few in number, but represented several influential and wealthy families. I was motivated to find out more about the bishop and his relics. 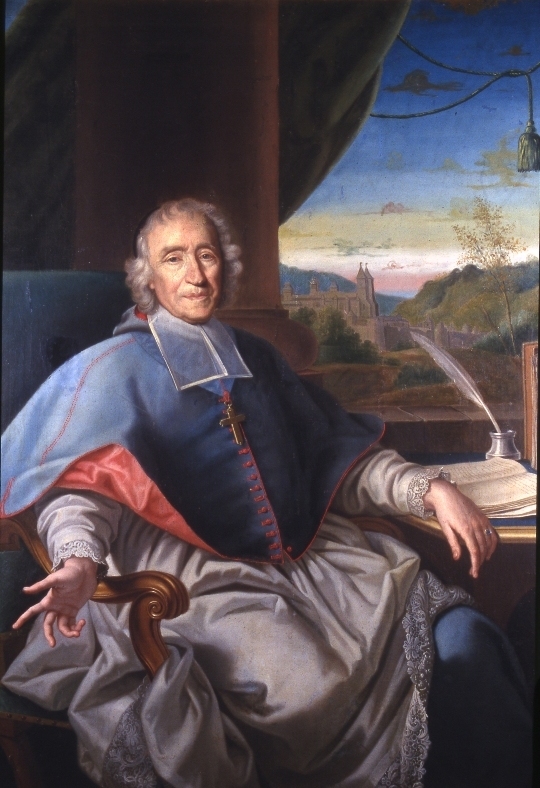 Jean Soanen, former Bishop of Senez, died peacefully in exile at the Abbey of La Chaise-Dieu in the Haute-Loire on Christmas Day 1740. He was a frail old man, just short of 94 years old. Following his death, the body was opened up to take out the heart [which was deposited in the church of Saint-Josse in Paris on 30th May 1741] . According to an old hagiography also retrieved was part of a rib, his knee caps and the thumb of his right hand! The destination of these relics is unknown. The Prior had a Royal order forbidding Soanen's burial in the Abbey Church but nonetheless the funeral took place with full honours. . His body was first of all exposed in the chamber where he died. Masses were said for him on the days of Saint Stephen and of Saint John (27th December). The monks helped keep vigil; they cried over his body, touched their crucifixes and breviaries to his mouth - and made off with the greater part of his hair and the ribbons which attached his medals. A visiting Dominican, who said Mass, remarked to the Chaplain that he would not pray for the great Jansenist martyr: Injuriam facit martyri, qui orat pro martyre. At None on the day of St. John, the body was taken to a domestic chapel in the lower part of the East Wing of the Abbey complex, commonly called the College Chapel. The monks had prepared a raised bier and a great crowd of people made the journey to pay their last respects despite the winter weather. The corpse, which retained its flexibility, was exposed in the chapel until the next day, the Feast of the Holy Innocents. At ten in the morning it was carried into the church and a Solemn Mass celebrated, before it was returned to the chapel for burial. The Bishop's chaplain, whose duty it was to cover his face with a cloth, knelt at the feet of the coffin and delivered a brief eulogy. Choked with emotion, he kissed the dead man's hands - "chained for the truth; but always free in its defence". Several religious and also some laymen prostrated themselves. 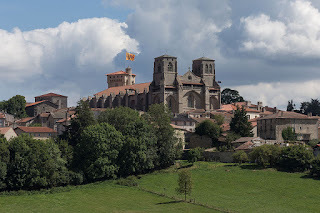 The body was sealed in a lead coffin and buried within a tomb cut deep into the bedrock, near the sanctuary of the chapel, the resting place of two former bishops of Puy. The existing stone was replaced but the grave remained unmarked, since it had been forbidden to allow Soanen an epitaph (p.64-5). An inscription was added some time later. The subsequent fate of the remains is a mystery. The Abbey was badly damaged by Revolutionaries in 1793. The General Inspector of Mines, A.-G. Monnet, who paid a visit at this time, was reduced to tears by the devastation he found; only the Abbey's fine iron staircase remained intact. It must be supposed that the monks managed to gather together Soanen's bones and transport them to Lyon. At the turn of the century the skull was known to be in the possession of a Lyon priest of Jansenist sympathies, the abbé Berlier. After this it passed to another prominent member of la Petite Eglise and thence to a nephew, the young man who sold it. The tomb itself is lost. According to an account of 1857 the College of Novices and its chapel had been converted into a hostel and stables. They are now completely gone. 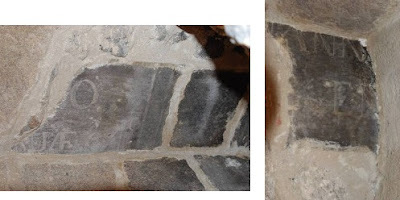 The writer reported that the bishop's tombstone had been broken in two and served as a fireplace, but that he could clearly make out the inscription on both halves. This fireplace still exists, in what is now the museum, installed in the lower west part of the Chapel Notre-Dame. In the late 19th century a marble plaque was on display in the town hall of Chaise-Dieu which also purported to come from the tomb. As to the skull, our book tells us that the purchaser in 1890, "une vieille demoiselle de Sainte-Foy-lès-Lyon", had died in her turn and the relic was now in the possession of one of her nephews. What happened to it next, I have been unable to discover! La vie et les lettres de Messire Jean Soanen, évêque de Senez (1750), p.144ff.